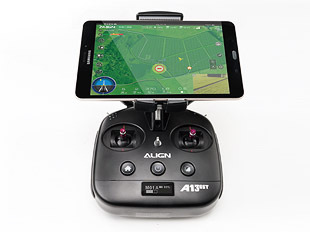 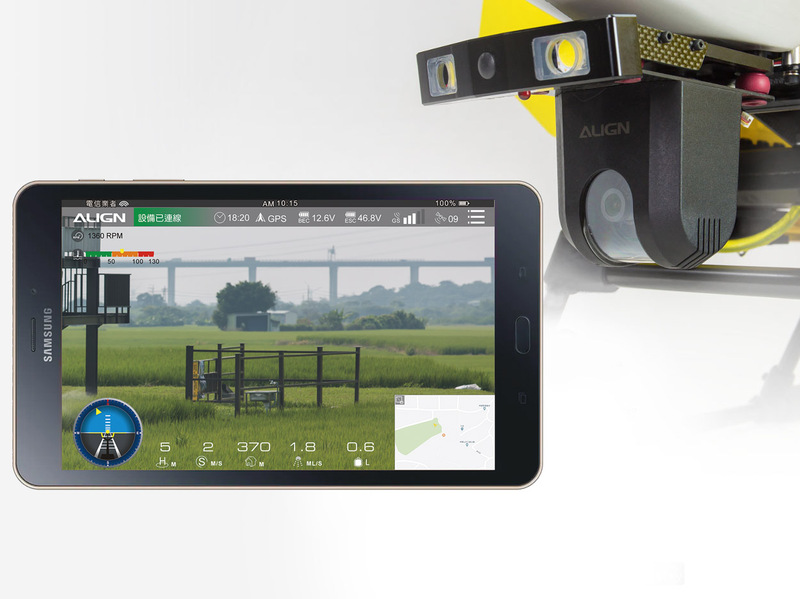 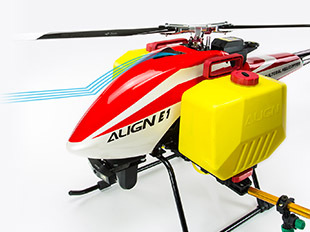 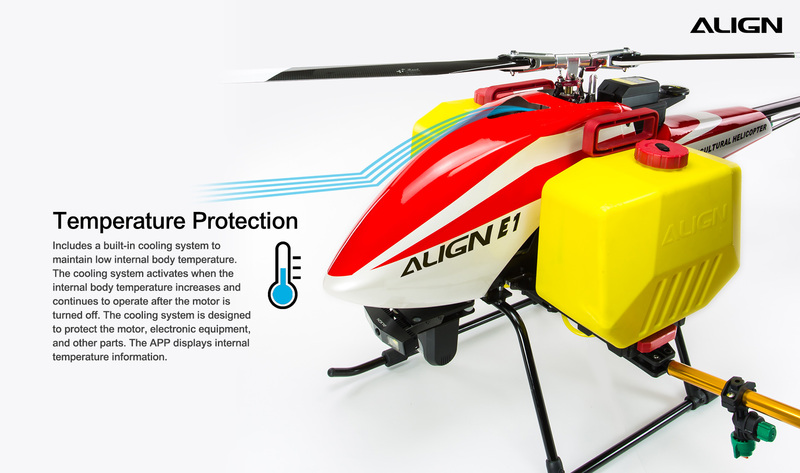 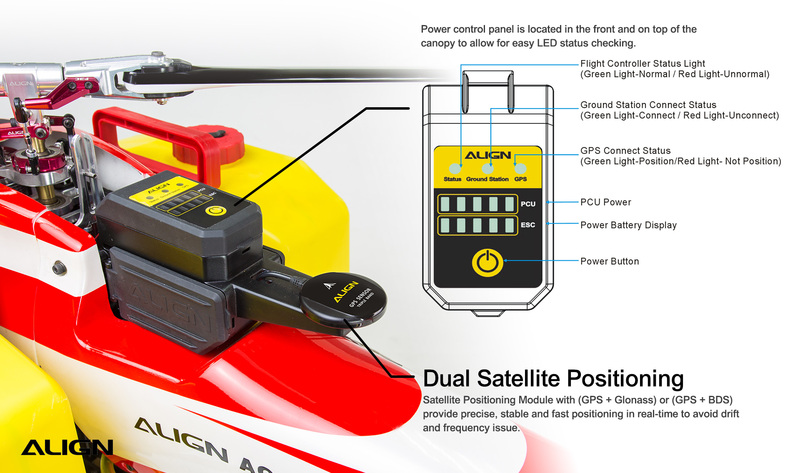 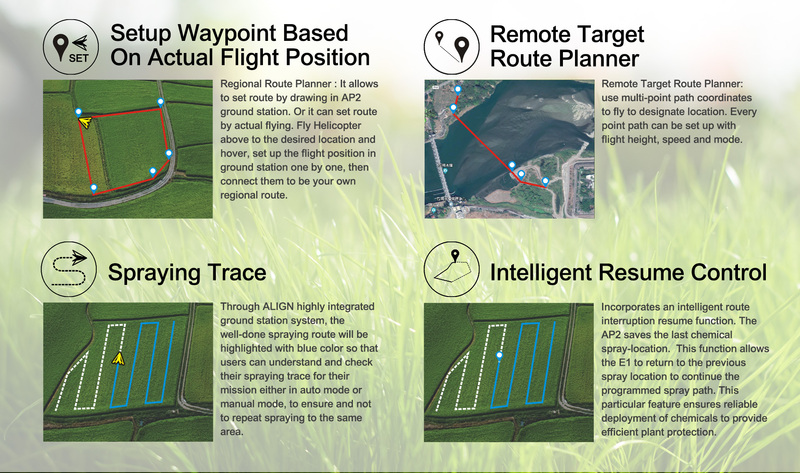 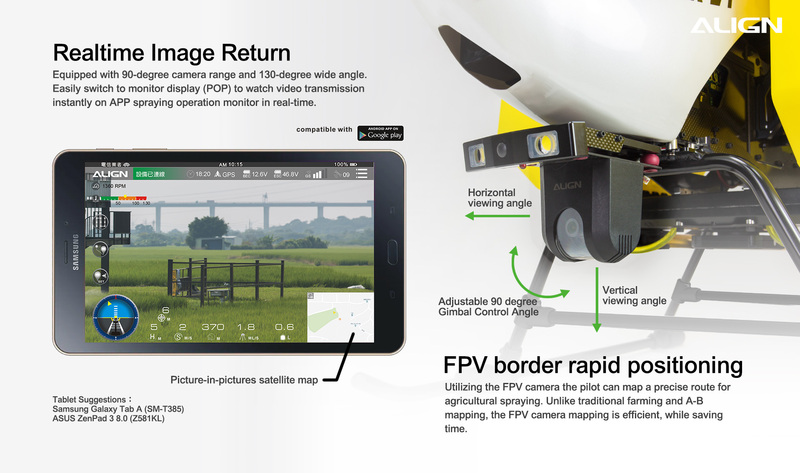 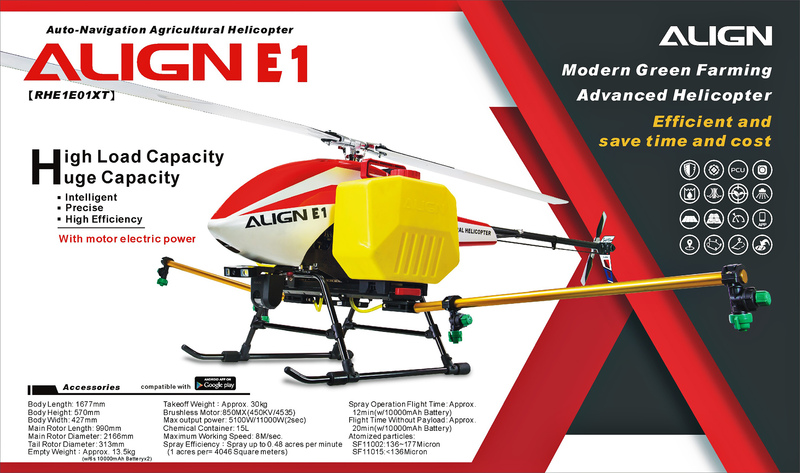 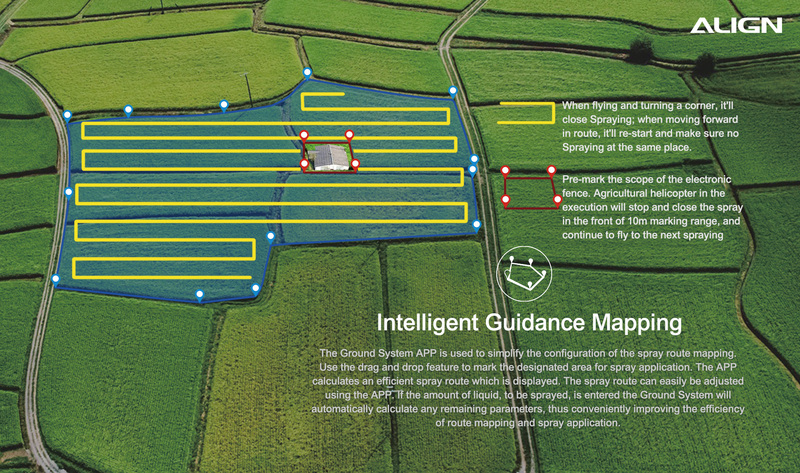 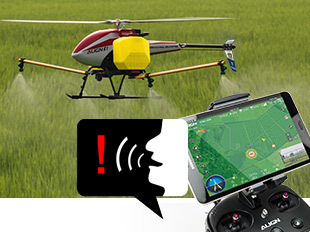 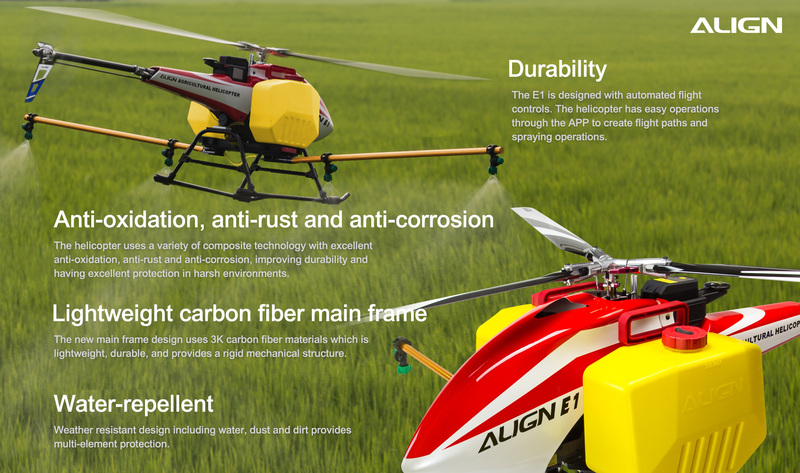 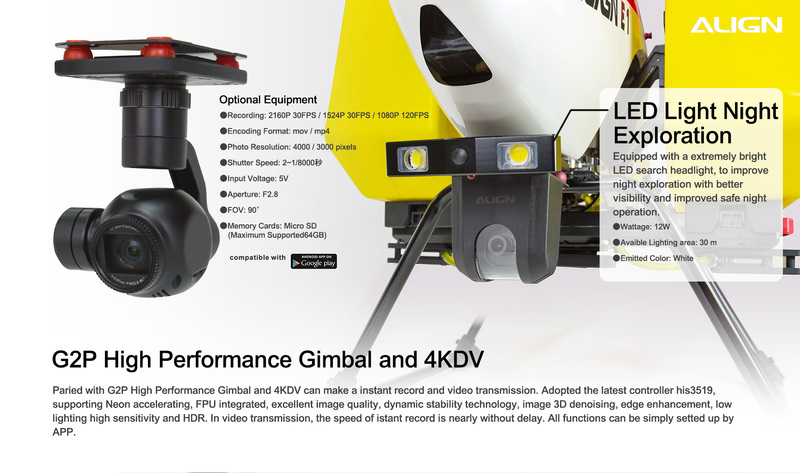 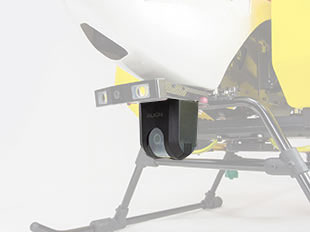 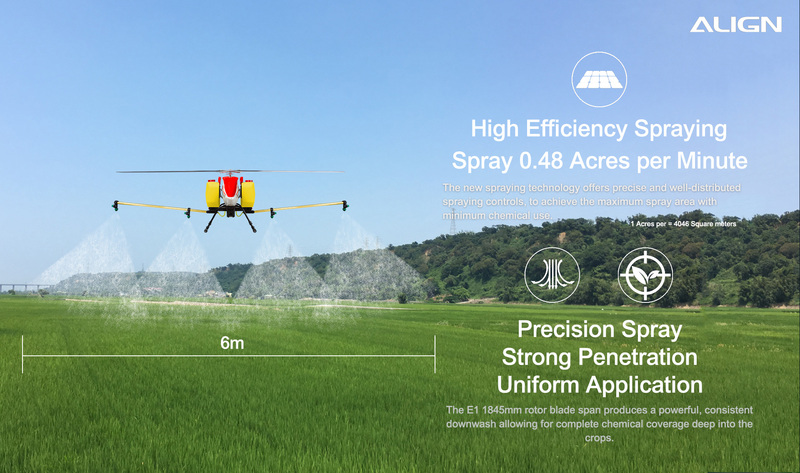 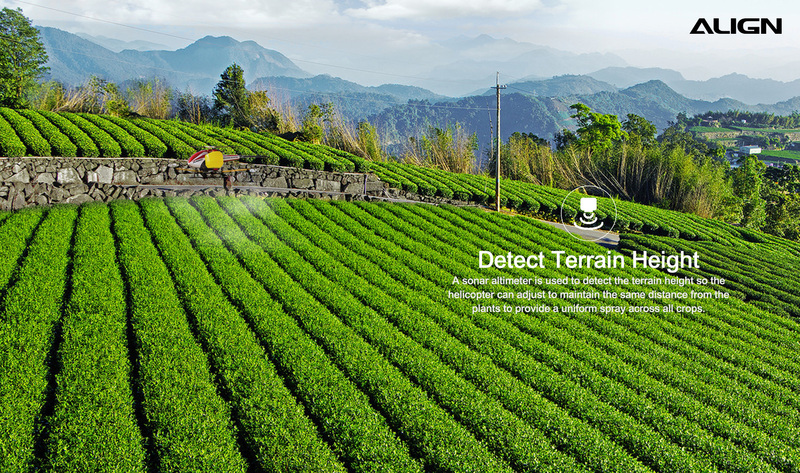 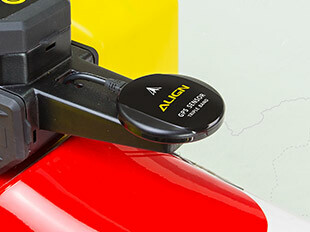 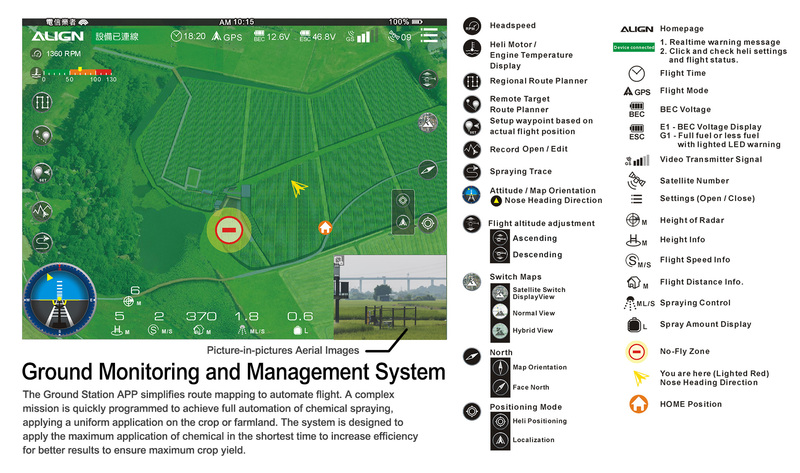 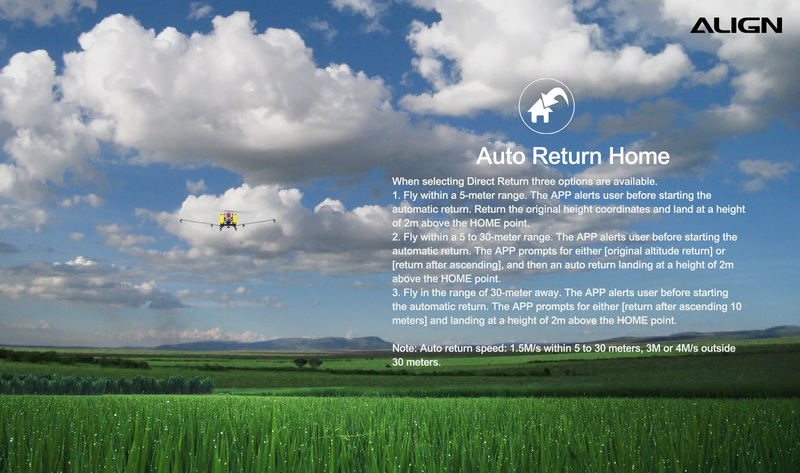 ALIGN DEMETER E1 Agricultural Helicopter is revolutionizing the way agriculture is done. 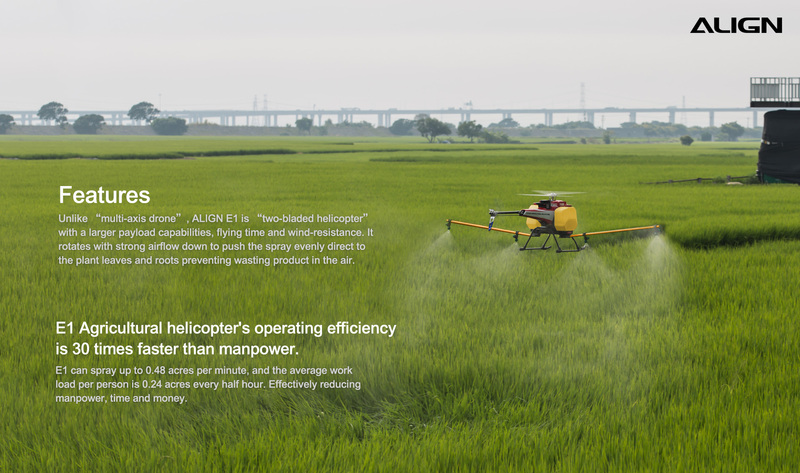 It’s an advanced helicopter for modern green farming and spraying that can be competed up to 29 acers per hour; 60 times faster than traditional machinery. 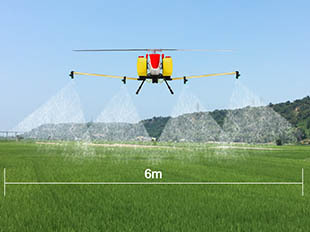 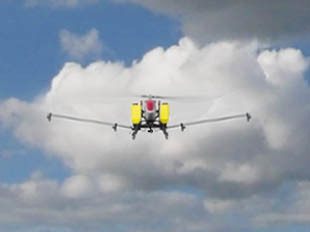 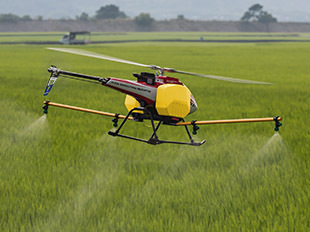 Specially inherit “Helicopter” body design, when it rotates, the strong airflow will carry the spraying directly down to the whole plant leaves and roots reducing the loss cost of spraying. 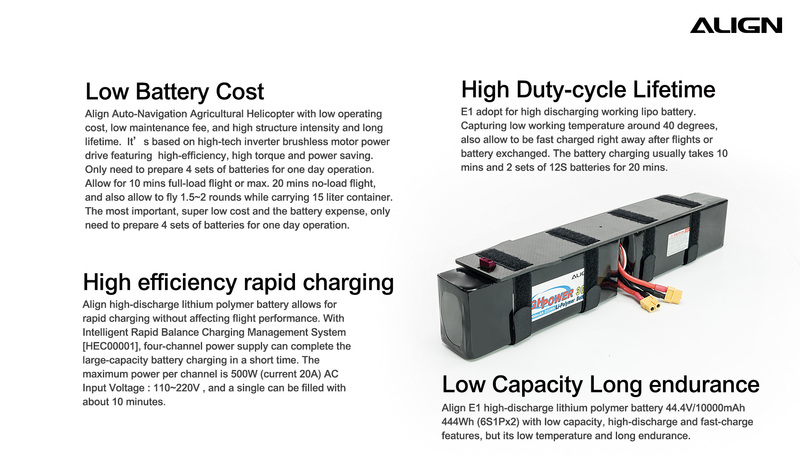 DEMETER E1 is designed with composite material and 3K Carbon Fiber that is lightweight but extremely durable. 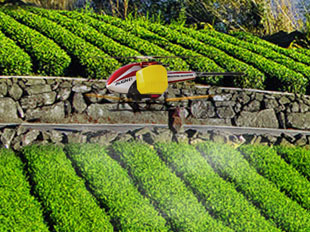 Besides, it features well water proof, rust proof and oxidation proof also high quality finish. 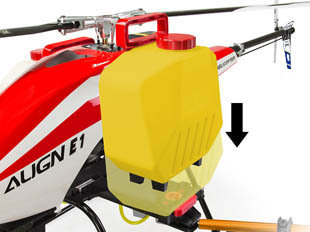 It’s capable of switching the 15KG chemical containers in 5 seconds reducing the risk of being dangers of exposing ourselves to the pesticide. 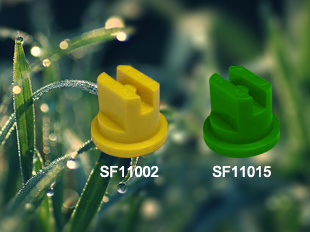 There are two types of fan-shaped nozzles can be used for adjusting output to different plants. 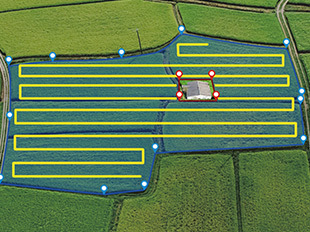 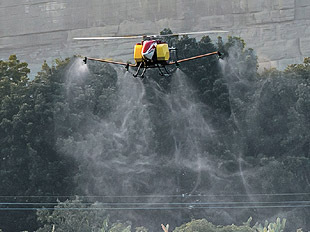 DEMETER E1 can spray up to 0.48 acres per minute, and the average work load per person is 0.24 acres every half hour. 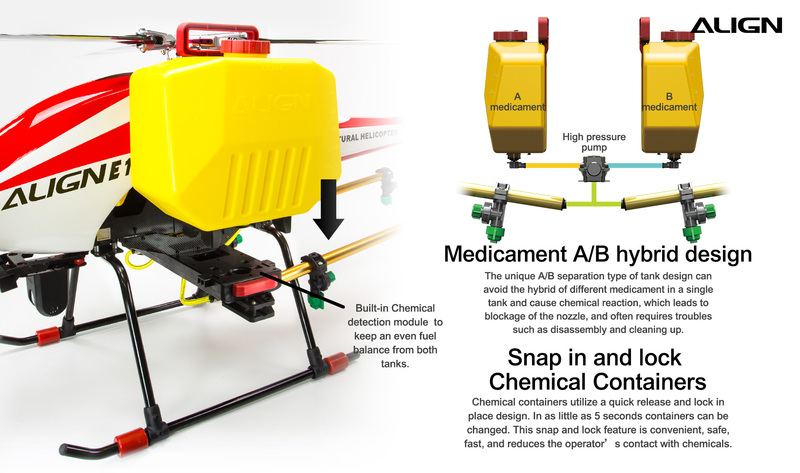 Effectively reducing manpower, time and money. 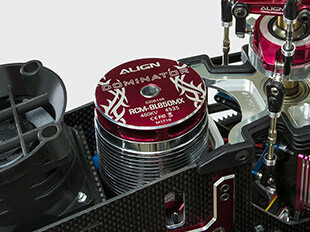 The new main frame design uses 3K carbon fiber materials which is lightweight, durable, and provides a rigid mechanical structure. 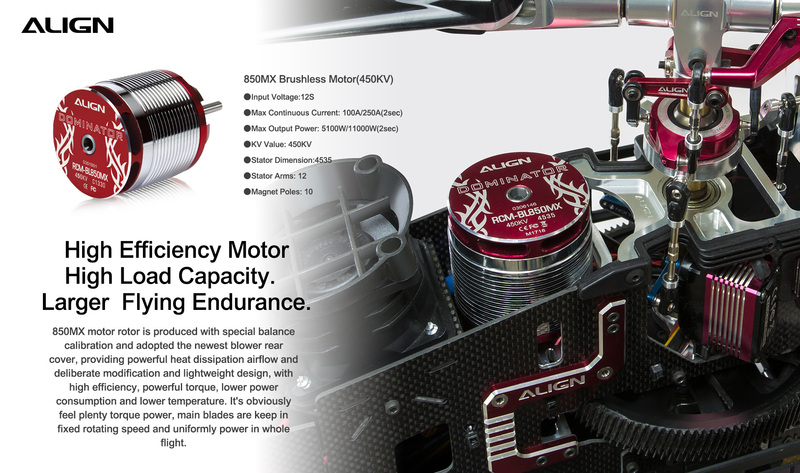 850MX motor rotor is produced with special balance calibration and adopted the newest blower rear cover, providing powerful heat dissipation airflow and deliberate modification and lightweight design, with high efficiency, powerful torque, lower power consumption and lower temperature. 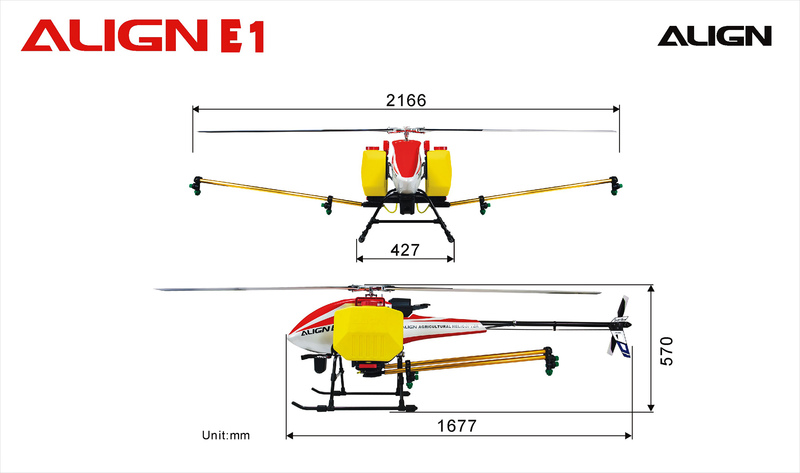 It's obviously feel plenty torque power, main blades are keep in fixed rotating speed and uniformly power in whole flight. 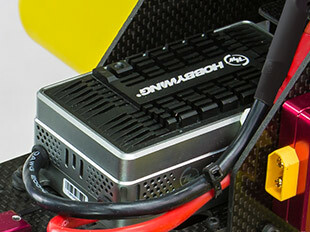 Use with HOBBYWING RCE-BL200A Brushless ESC. 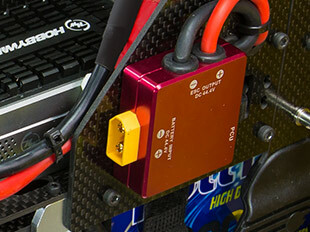 A high quality, and high voltage MOSFET with a great current endurance guarantees the ESC’s safety especially in a extremely high power demanding situation. 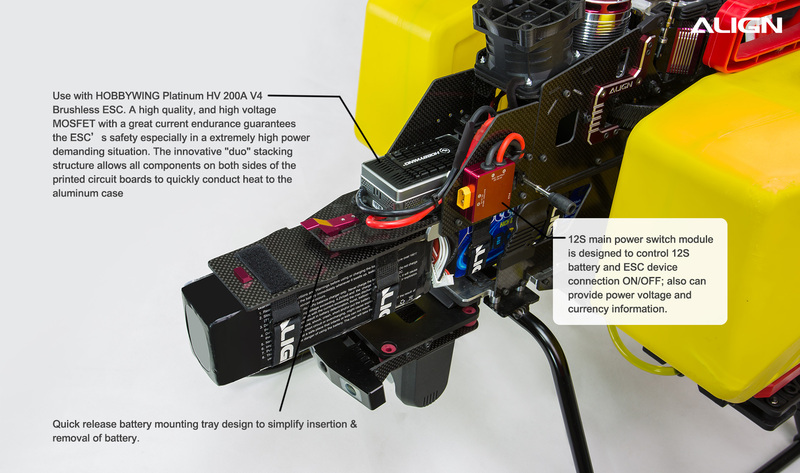 The innovative "duo" stacking structure allows all components on both sides of the printed circuit boards to quickly conduct heat to the aluminum case. 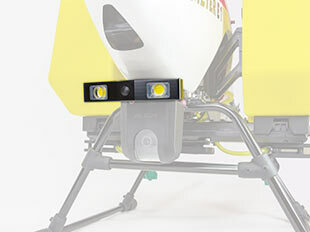 Equipped with a extremely bright LED search headlight, to improve night exploration with better visibility and improved safe night operation. 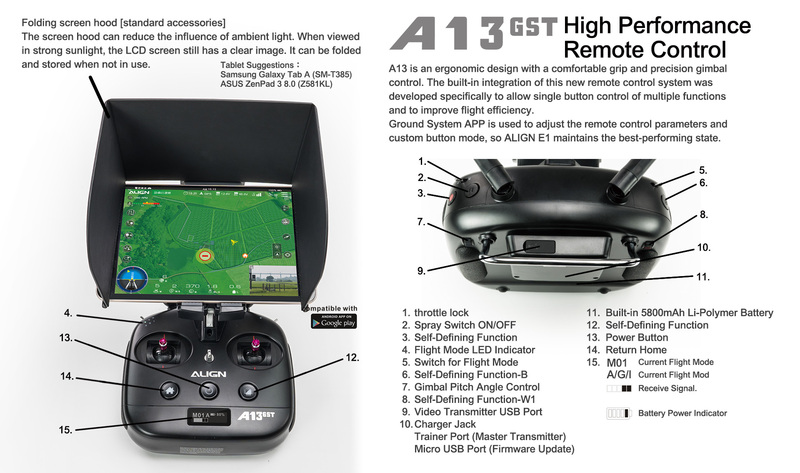 A13 GST is an ergonomic design with a comfortable grip and precision gimbal control. 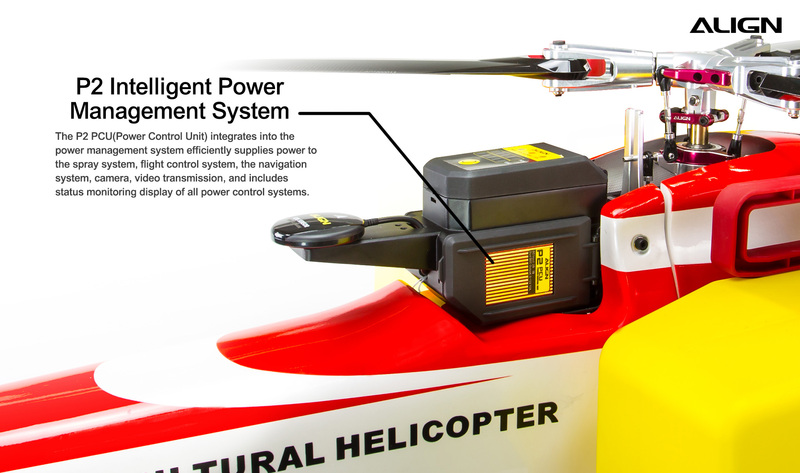 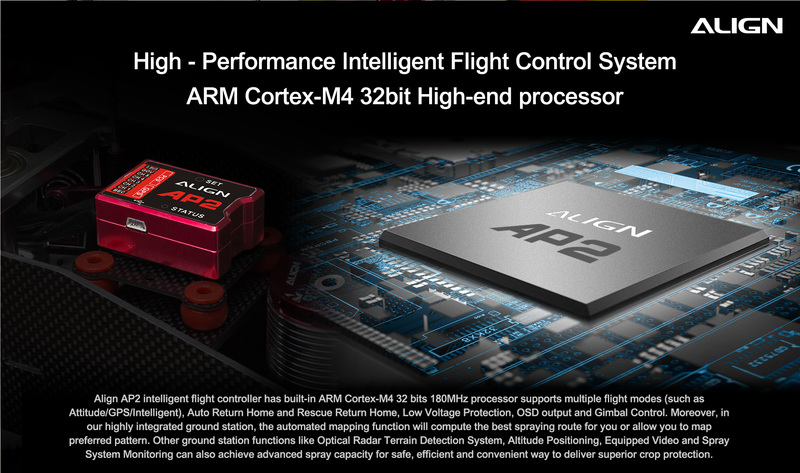 The built-in integration of this new remote control system was developed specifically to allow single button control of multiple functions and to improve flight efficiency. 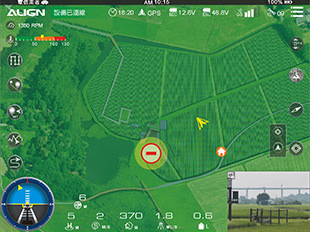 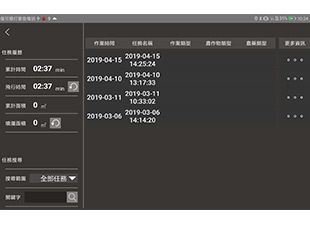 Ground System APP is used to adjust the remote control parameters and custom button mode, so the DEMETER maintains the best-performing state. 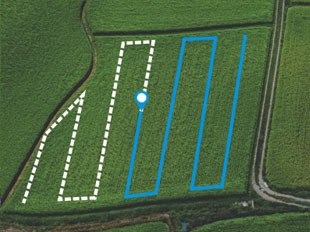 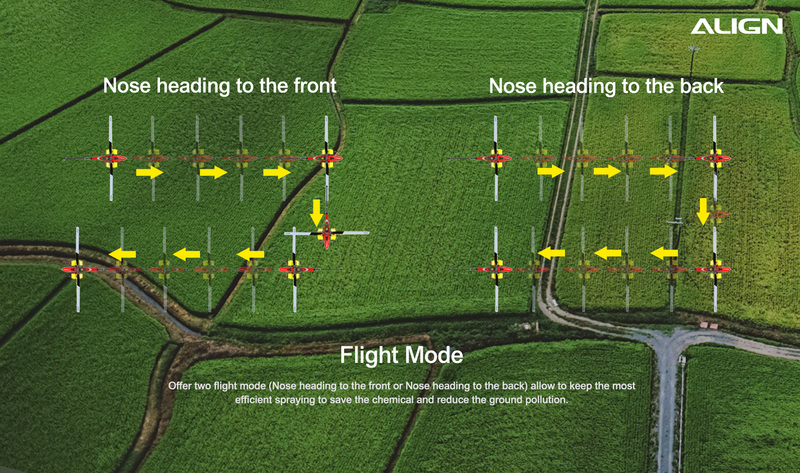 When flying and turning a corner, it'll close Spraying; when moving forward in route, it'll re-start and make sure no Spraying at the same place. 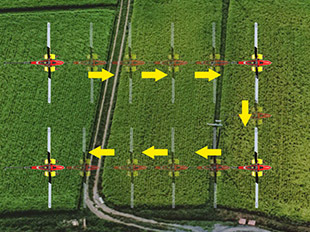 If there are buildings or objects, setting obstacle mark to make DEMETER keep away this area spraying. 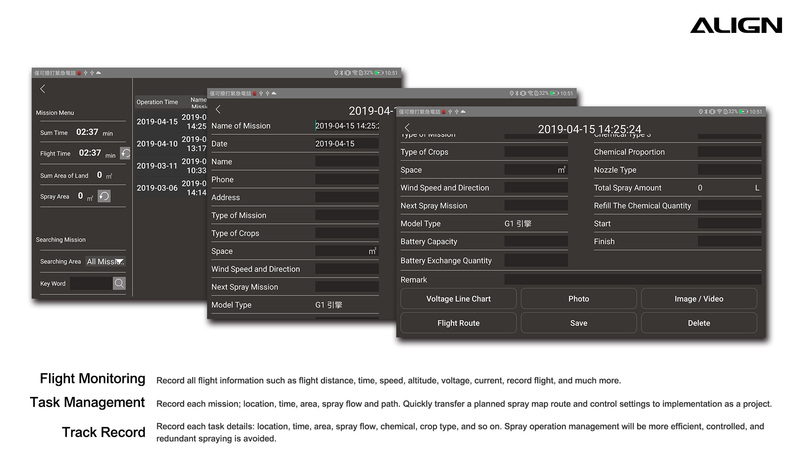 - Custom Mode: User setup their own nose heading direction on APP system before flying. 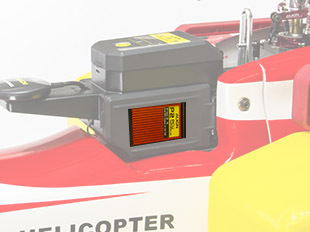 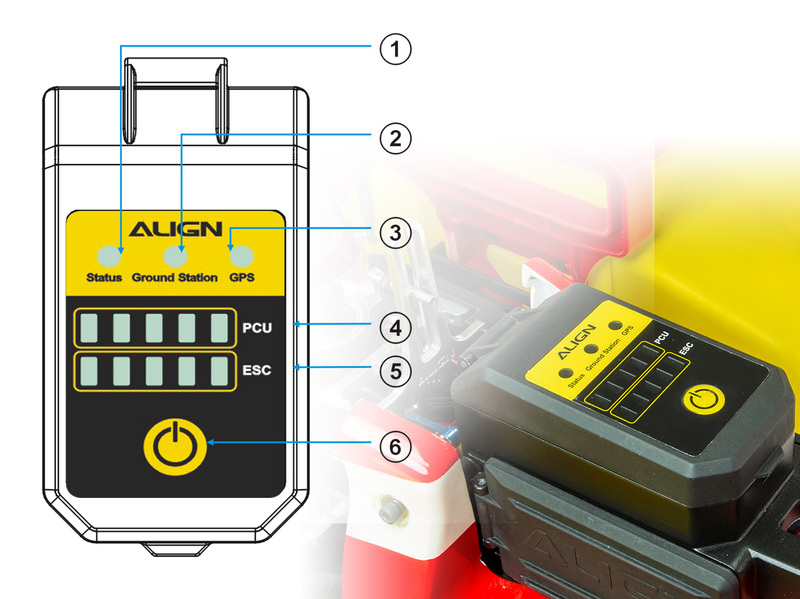 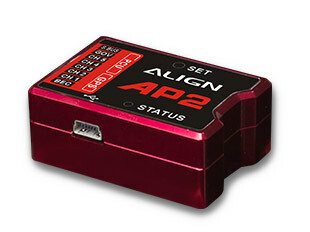 - Auto Mode: The nose heading direction is based on flight controller detection. 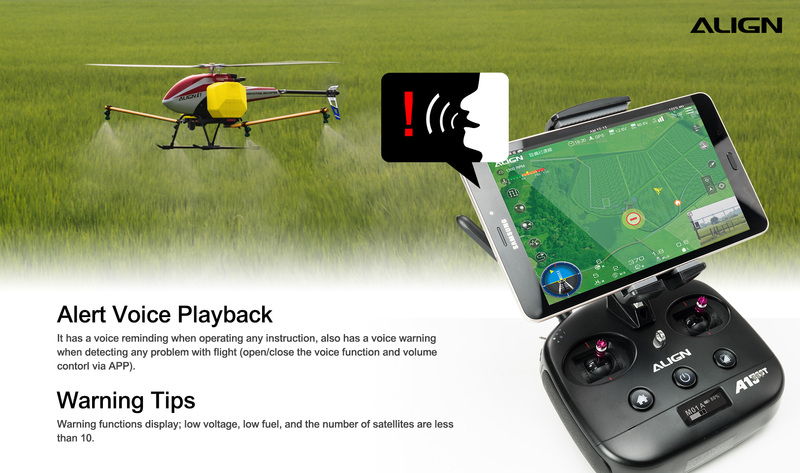 - Manual Mode: The nose heading direction is based on users radio control. 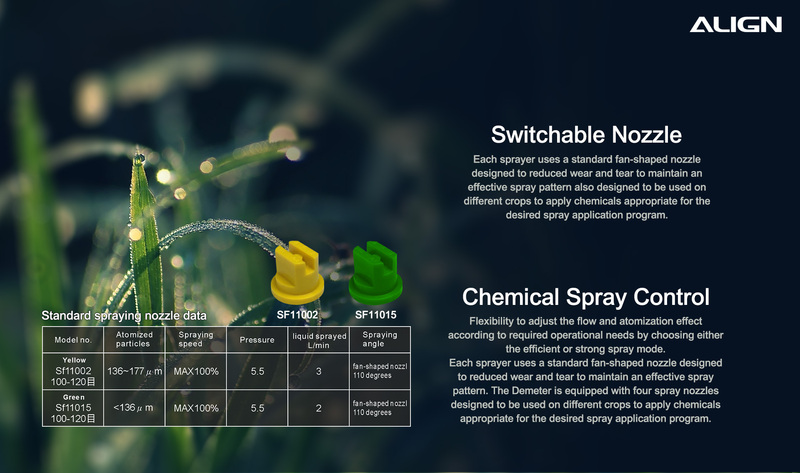 ●Spraying Angle：Fan-shaped nozzle 110 degrees.